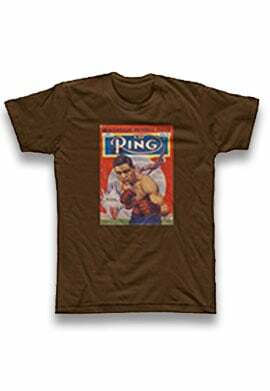 The Ring is proud to present “The Boxing Esq. Podcast with Kurt Emhoff”. 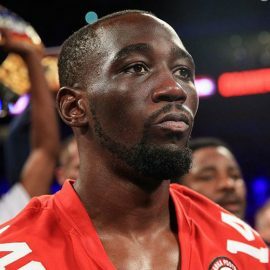 Emhoff, an attorney based in New York City, is a top boxing manager who has represented more than 10 world titleholders in his 20-plus years in the sport. Listen to Episode 22, with manager Keith Connolly, here. 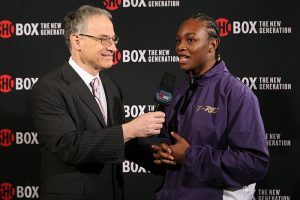 Farhood interviewing Claressa Shields before a ShoBox-televised bout. His guest on this podcast is International Boxing Hall of Fame writer, editor and television analyst Steve Farhood. They spoke about Steve’s time at London Publishing, where he founded the legendary KO Magazine, and was the Editor-in-Chief of The Ring Magazine during the 1990s. They also spoke about his near 20 years as an expert analyst on the ShoBox: The New Generation series on Showtime. 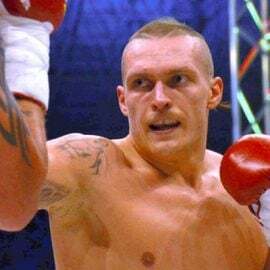 Additionally, Steve gave his insights on the state of game, where women’s boxing is going and who he thinks will win the major fights in the next few months. I was 21 years old and like anybody that age at the time, I knew Ali, Frazier and Foreman. Boxing in America was the heavyweight division in the ‘70s. There was nothing else. It was a weird time to think about it. There was a time, and people are shocked by this, but there was a time, I think it was 1976, when there was literally one world champion who was American. And that was Ali. It was just before Danny Lopez. Every other champion (was from outside of America). There was a big Hispanic influx at the time because the alphabets, the WBA and the WBC, were running boxing. Boxing outside of the heavyweight division was very much not an American sport. Duran and Monzon were probably the best fighters of the decade. And for a young kid who was a sports fan, boxing was not the obvious go-to sport. But I came to love it pretty quickly. Well, we were a one-man staff after Randy (Gordon – writer and former NYSAC Commissioner) left. I was it. We decided to put out KO and it was a challenge because The Ring (their major competition at the time) was so established. Now, The Ring, of course, in ’77 had the big ratings scandal and it was at a low point. But then when Burt Sugar took it over, it got a lot of play because Burt was a bigger-than-life personality. And we said we can put out a different kind of boxing magazine and we did with KO. And Kurt, to be honest with you, I’m more proud of the fact that we put out KO for as long as we did and did as well as we did in competing with The Ring as anything I’ve done professionally. Because I look back at those magazines and they were really chock full of stuff and I loved it. It was a great magazine. It was a little different, I think. And we were able to compete with The Ring, which wasn’t easy to do as I said. So, I loved KO. It killed me when the company, long after I was gone, disbanded the magazine. 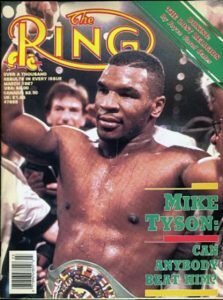 I love looking back at those magazines because it was also, let’s face it, a great time for boxing. 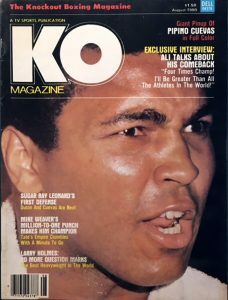 It was something getting that magazine because everybody assumed that Dr. Jerry Buss, the owner of the Lakers and Kings at the time, was going to buy the magazine. My boss (Stanley Weston) sent his guy in and Dave DeBusschere (former New York Knick great and Hall of Fame basketball player) was the owner (of The Ring) along with two other guys. [We] kind of snuck in there and bought it suddenly. And all of a sudden, one day our boss came in and said, guys, we just bought The Ring Magazine and we were shocked as hell. And we realized we had a lot of work ahead of us because now we had yet another magazine to put out. There’s a lot of reasons for that. Some of it is just cyclical and they’re going to be times that are better times than others. But you know, fighters fought more often in those days. And I think that’s a key. They were more familiar to us. So naturally with time we view them differently than we do fighters who we’re not as familiar with and that exposure was tremendous. I remember doing a graph starting with Joe Louis in the ‘40s and Marciano and Robinson in the ‘50s and how many times the top fighters fought in a year. The graph goes straight down. You know, it was five, six times in (a year) a long time ago. And then in the 80s, it was generally three to four times. And then by the time you got to Tyson or Chavez or those guys, it became, you know, three and then it became two, and now it’s two-borderline-one. So that doesn’t help the game. Nobody gets better as a fighter by fighting less often. 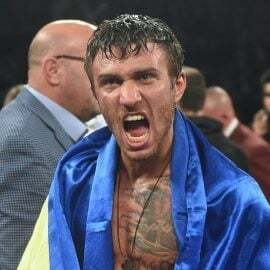 Boxing is the only sport, I’ve said this many times, that takes its biggest events and shows them to the fewest people. That’s not healthy for the sport. It’s always been that way. I have to give all the credit to Gordon Hall because he’s been the executive producer. And by television standards, we have a very special arrangement at ShoBox, because we’ve had the same executive producer for 19 years: Gordon, who’s the heart and soul of the show. We’ve had the same producer, Rich Gaughn, and the same director, Rick Phillips. I’ve been part of it as an announcer initially with Nick Charles and then a couple of other guys, Curt Menefee, and for the last seven years Raul (Marquez) and Barry (Tompkins). The lack of change in personnel on the show is very unusual for television. But it’s really made us into a tight unit. And we really love each other and look forward to every show. This is not a destination. This is a launching pad for women’s boxing. And I love it. I’ve loved it ever since I was at Deirdre Gogarty-Christy Martin on a Tyson undercard years ago. I feel that from the media’s perspective, from a writer’s perspective or a broadcaster’s perspective, women’s boxing is fantastic. ‘Cause I think the women, not always as exciting as the men, granted, maybe not as big of punchers by nature, but the personalities: they bring a different side of themselves to boxing than the men do. And you know, Claressa and Christina Hammer, are a good example of that. I think the women tend to be more verbally adept than the men. They sell themselves very well. The reason for getting into boxing is very often very different from men. 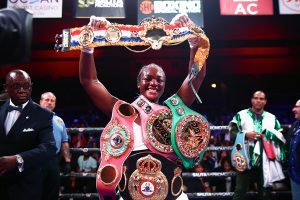 And I love women’s boxing and I think (the Shields-Hammer) fight is really a stepping stone for them to gain more universal acceptance. Well, it’s a great thing that there’s so much interest from people with money to televise boxing and that’s wonderful. And that has not always been the case. But I think it’s obviously a dangerous time because we don’t want the sport to get too fractured to the point where Group A is not going to fight Group B who’s not going to fight Group C who’s not going to fight Group D. That’s obviously dangerous. 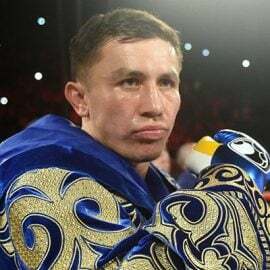 Usually, and you know boxing history as well as I do, usually money settles everything. If there’s enough money in a Spence-Crawford fight or a Joshua-Wilder fight or whatever the matchup is, usually that’ll take care of itself. You hope that’s the case. You hope that promoters want to make money. That’s what they’re in business for. Fighters want legacies. 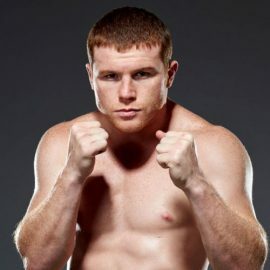 And I think with a lot of these fighters, what I want to see is the fighter take control. And if the fighter says to the promoter, I want ‘X,’ well then it’s the promoter’s job to get ‘X’ and make the fight. Who’s the boss? The promoter or the fighter? I think the fighter should be the boss. It’s a short career. You only have so much time to make money. I think we need a little bit of a sort of a market adjustment so that the fighters realize that and demand it. 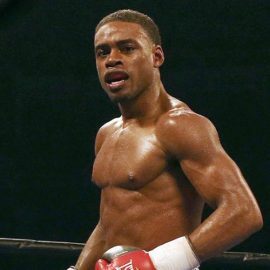 Errol Spence or Wilder or Joshua, whoever they are, in a position where they can dictate. They’re powerful enough where they can dictate. And if the economics work, I think we’ll end up seeing some of these fights. I certainly hope so because we don’t want to lose, at a time like this when there’s so much boxing on we don’t want to lose the best matchups.